The intricacies of SEO seem to evolve with time depending on the market needs and changes. The basic elements such as content have remained the same, but the specific details have evolved. Old SEO mainly placed emphasis on the use and distribution of keywords. This aspect worked for search engine rankings but it failed miserably at attracting and increasing viewers. As such, new SEO focuses on making the content more human-friendly. However, this is not at the expense of the website’s ranking. 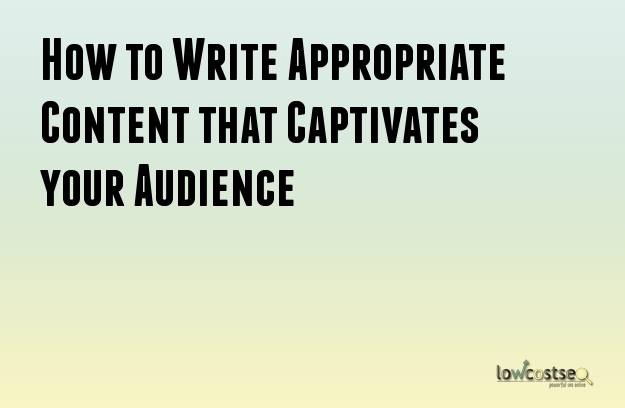 The following pointers will aid you in writing the most appropriate content to cover all of the required elements. Content should be able to reach and satisfy the needs of all your users. This means it should cater for readers that peruse through content and those that read every word for specific details. The best way to accomplish this is by using sub-headings, bullet points, and introductions. These three elements enable perusing to be an easy task but still gives pointers as to what the detail will contain, to enable readers to determine whether they wish to read through the finer details or not. The main body of the text contains the details. Details given within any content should be factual. Ensure that for every claim posted, there is solid truth behind it. This will make your website or blog credible and build trust amongst your readers, ensuring that your particular platform is the go-to place for answers and solutions on a certain topic. Information should be useful to all types of readers at any point through the material. The topics discussed should be of interest to your target audience. As such, content should be created with the result in mind. This means that it should be created from the readers’ perspective. In this way, it will satisfy all of your reader’s needs, questions, and help them to form their own opinions. The main idea is to have a goal in mind for the content, and ensure that the goals are achieved in line with your reader’s expectations and how they want to use the information. Content that appeals to the human element of you audience is far more effective at increasing your following and improving rankings and will not compromise either element. Optimization might get your website or blog to the top, but it takes quality content to keep it there. There is a trend that websites would focus on attracting new visitors; they would often overlook the importance of retaining these visitors for the long haul. Shifting the focus to create visitor-centric content will no doubt boost the quality of your traffic and also move your website up search engine rankings in the long run.